Since I just wrote about Milo Riley Sharp and Mary Ann Stoker (Lilly)(link here: Sharp-Stoker Wedding), I thought I would share a photo or two that surfaced in relation to Lilly’s sister, Jeanette. Her name comes up in various forms Janetta, Jeanette, and Jeanetta. However, her death certificate and other official documents all list Jeanette. The 1861 census lists her as born in Brewood (pronounced Brood or Brude), Staffordshire, England. The same place her father, William Stoker, was born. Other individuals, their sources unknown to me, list her birth location as Kinver or Wolverhampton, both in Staffordshire, England. Wolverhampton and Brewood are about 20 minutes away, so at least we know for sure which neck of the woods we are in. Either way, she was born 3 February 1856. I mentioned in the link mentioned above about how her family joined the LDS church, traveled to Utah, and how William Stoker farmed out the children from his first marriage to other families. 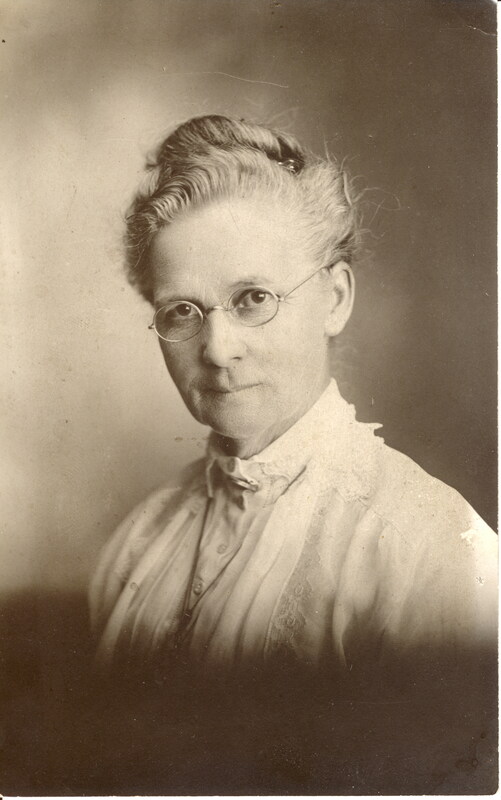 Jeanette was raised by Lewis and Catherine Garner in Plain City, Weber, Utah. Jeanette is listed with both her father’s family and also the Garner family (as Janet) on the 1870 Census. She married Charles David Rogers (17 March 1850 – 2 September 1914) on 22 December 1875 in Salt Lake City, Salt Lake, Utah. To them were born 9 children: Charles David Rogers (1878 – 1880), Frank Rogers (March 1880 – 1900), Lawrence Edward Rogers (1 February 1882 – 29 May 1905), William Rogers (6 Dec 1884 – 27 July 1890), Agnes Delene Rogers (19 May 1886 – 22 March 1937), Catherine Hester Rogers (19 November 1887 – 7 February 1945), Maybelle Rogers (5 June 1890 – 4 February 1980), Louise Irene Rogers (24 April 1892 – 25 November 1956), and Loretta Camilla Rogers (7 June 1895 – 5 May 1985). Charles passed away in 1914 and Jeanette remained a widow until she passed away 5 December 1941 in Sandy, Salt Lake, Utah. She was buried 9 December 1941 next to her husband in the Sandy Cemetery. 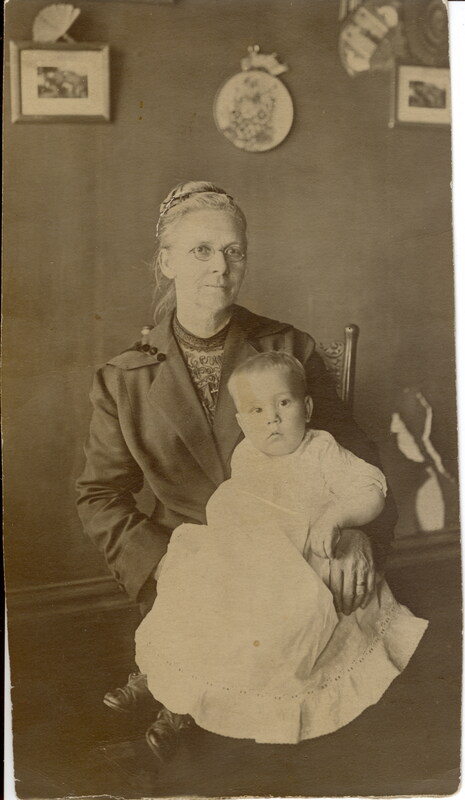 Here is a picture of Jeanette with her grandson Joseph Andrew Christopherson probably around 1917 or 1918.